Eating his way from NYC to Tokyo. Since teaming up with Hardwell in 2007 for the track "Mrkrstft", R3HAB has been at the forefront of the electronic scene. Songs off like "I Just Can't" and "Killing Time" off his latest album, TROUBLE, have soundtracked countless, fun-filled summer nights, and has led to performances at Tomorrowland, EDC, Ultra, LIV Miami, Hakkasan, and Space Ibiza. While the Dutch native definitely knows what’s good when it comes to music, he has another passion fans might be surprised to learn about: the culinary world. It makes sense, though—being able to perform at venues and clubs all around the globe means getting to dine at the top restaurants, too. So why scroll through Yelp for recommendations, when we could just ask the globetrotter himself? Check out the list he compiled featuring five of his fave hotspots, including Catch in NYC and Saffron in Bangkok! 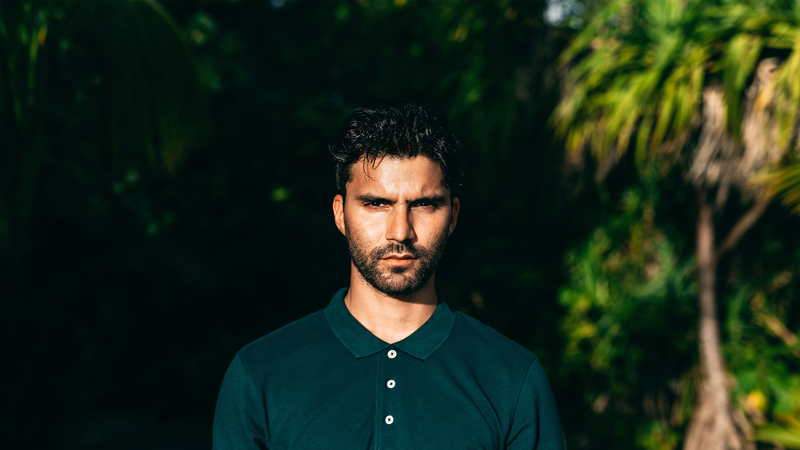 Then, make sure to track R3HAB on Bandsintown to see him live in your city. Chi Spacca in Los Angeles is an Italian steakhouse on steroids. If you’re a meat eater, this place is paradise. I’m in Los Angeles frequently for shows and studio sessions, so I usually try to fit in a visit to Chi Spacca. Every time I’ve gone, it’s been off the hook. For any first timers, I’d recommend their famous Beef and Bone Marrow Pie, which is an incredible dish. Catch is at the heart of Manhattan’s meatpacking district. They’re mainly known for their seafood, but everything they prepare is exceptional. Some people actually say this place is a bit over the top, but I love it. Aside from the food, one thing that sets Catch apart from other NYC restaurants is the clientele. It’s not uncommon to see celebrities, which is why it has a reputation for such good people watching. Catch does an excellent job across the board, leaving me eagerly awaiting my next visit. The entire country of Japan is known for their Wagyu Beef, but this place takes it to the next level. Once you taste it, you immediately understand why the Japanese people love it so much. The term "wagyu" refers to a specific type of cattle, which produce super high-quality meat, with a high amount of unsaturated fat. At Han No Daidokoro, they have mini grills set on the table in front of you so that you can cook the meat yourself. Their best dish is the Yamagata Wagyu Beef, which comes from the Tohoku region of Japan. If you’re a fan of smaller, quainter places, Lewis is a favorite of mine in Belgium. One of the best parts about Lewis is their staff, who are all very knowledgeable and can always surprise you with a good recommendation if needed. The live view of the kitchen adds some fun to the experience. A high point of the evening for me is always the dessert! Saffron is located on the 52nd floor of the Banyan Tree building so the view is a breathtaking attraction, but it by no means overshadows the food. Of the places I’ve named so far, this one is probably the most high-end. The restaurant draws from a variety of authentic flavors and ingenious dishes, but blends that with a modern elegance. My favorite dish there is goong yai pad prik gaeng karee saffron, which comes with probably the largest shrimp I’ve ever seen in my life.